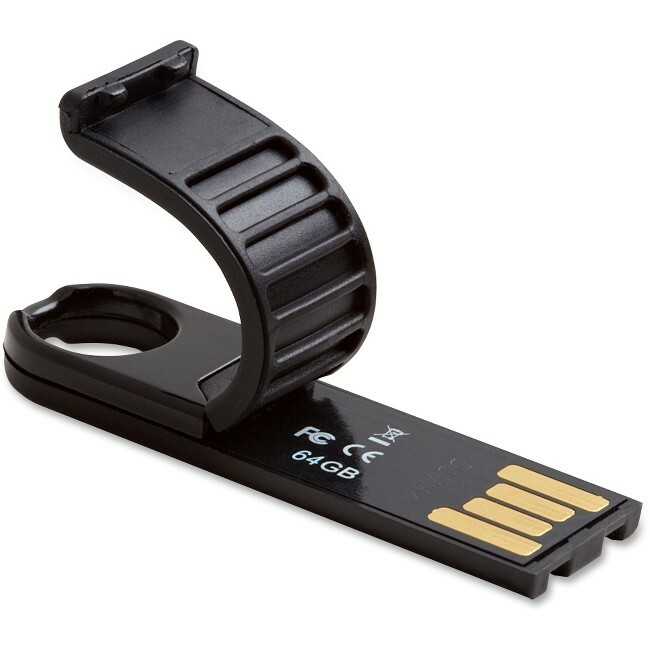 This rugged, sleek and small portable USB drive is perfect for storing music, videos, school projects or photos. Built-in key ring conveniently clips onto key chains, binders, notebooks and more. USB connectors are protected by a flexible rubber cover that is built to withstand rough handling. 64GB drive is compatible with all USB ports on both Macs and PCs. Ruggedized SIP (System in Package) Design encapsulates and protects electronic components from water, dust and debris. Flexible protective cover shields USB connector. Password-protection software for this Store 'n' Go Micro USB Drive Plus is available for download.